Powered by a 40 hp (30 kW) Triumph Motorcycle Engine with a fuel capacity of 3 gallons (11.3562 L). Design authority: Adams Wilson Helicopters Inc.
Primary manufacturer: Adams Wilson Helicopters Inc.
Resources related to the Model 101 Hobbycopter, provided by the Vertical Flight Society. 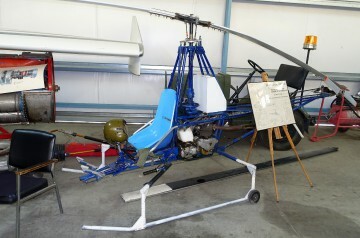 Resources related to the Model 101 Hobbycopter, provided by public sources across the internet.